Why Concrete Expansion Joint Replacement Is Important | Adriatic Restoration Corp. If the concrete on the deck of your high-rise shows cracking and signs of wear and tear, it may be time for concrete expansion joint replacement. Concrete expansion joints are designed to prevent moisture from seeping under the pads. When this happen, the level of the concrete can sink or cracking on the surface can result. The expansion joints allow for expansion and contraction during extremes of heat and cold, dryness and humidity. When these joints wear out, the concrete becomes more vulnerable to the weather and atmospheric conditions and begins to wear out quickly. Looking for signs of wear before actual damage in the concrete is visible can save you time and money, and that is why prompt concrete expansion joint replacement is essential for the health of your deck and garages. 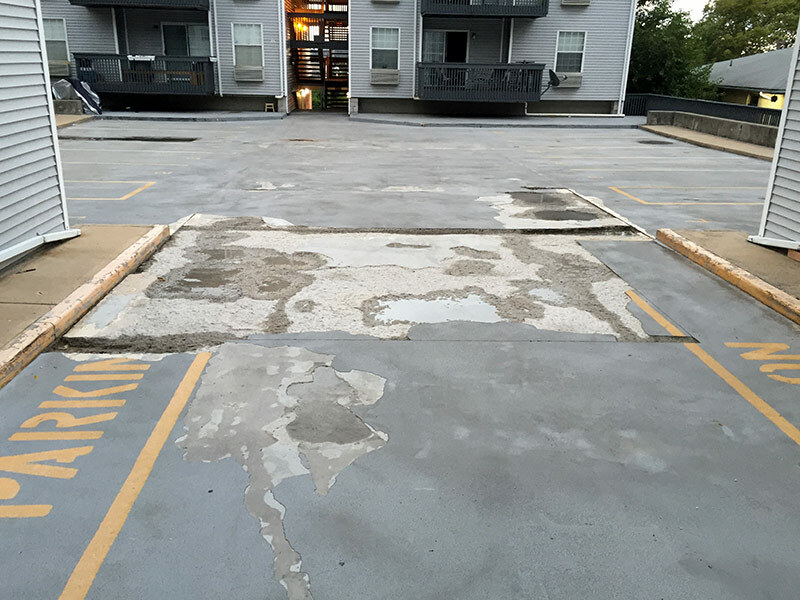 Your concrete decks and parking garages receive a lot of use, are exposed to extreme weather conditions and are likely to need a concrete expansion joint replacement periodically. If moisture is allowed to collect underneath the concrete, cracking and other damage can be difficult to replace later on. Hire a professional who has substantial experience with replacing expansion joints and can guarantee their work. The process involves lifting the surface, removing the old material and replacing it with new sealant. This may seem straightforward, but for a high-rise building with a number of decks and parking garages, the process can be complex and requires an effective application and high-quality sealants. The joint replacement professional can explain different types of sealant, including those that are long-lasting, weather resistant and allow for sufficient circulation of air. You should inspect your garages and decks on a regular basis to determine whether or not the expansion joints need replacing. If you see swelling or places where the concrete is cracking, determine whether the damage was caused by an external factor or from excess moisture within the concrete. If you suspect the latter, look into concrete expansion joint replacement promptly.